Posted on: April 20th, 2018	by Jennifer A. Driving through New Gretna on Route 9 recently my youngest spotted a playground. The sign with Smokey the Bear caught his attention. We were on our way to the Tuckerton Seaport for their Carving Wars, a chainsaw wood carving competition. Knowing that we frequently STOP for playgrounds he asked if we could stop to visit the park on our way home. Of course, I said yes. 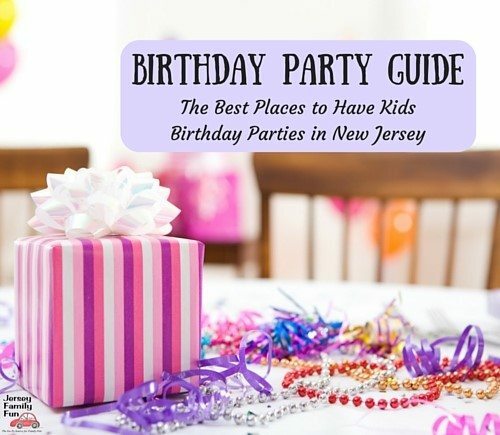 So after leaving the Seaport and heading back towards the Garden State Parkway, we kept our eyes open hoping to find this new playground. We had almost given up hope when we finally spotted it again. As we pulled off of Route 9 and headed down Maple Avenue, I was so glad my son noticed this playground. The tall tower playground structure immediately called to them. It looked fabulous! Before I could even get out of the car, my boys were taking off for the tower. They were ready to explore every nook and cranny. As they did I texted my friend, Cindy who lives in the area. I needed to know the name of this park and there was not much signage to give me any clues. Cindy, told me the locals call it Bass River Park. We’ll go with that for now as I could not find ANY other information about this park that sits in New Gretna/Bass River Township. We could not have asked for a better day to visit the Bass River Park. The sun was shining and while the park was crowded I was determined to stay and let my boys play as long as they wanted. We’ve had so few sunny days this April that I want to make the most of them when we get them. 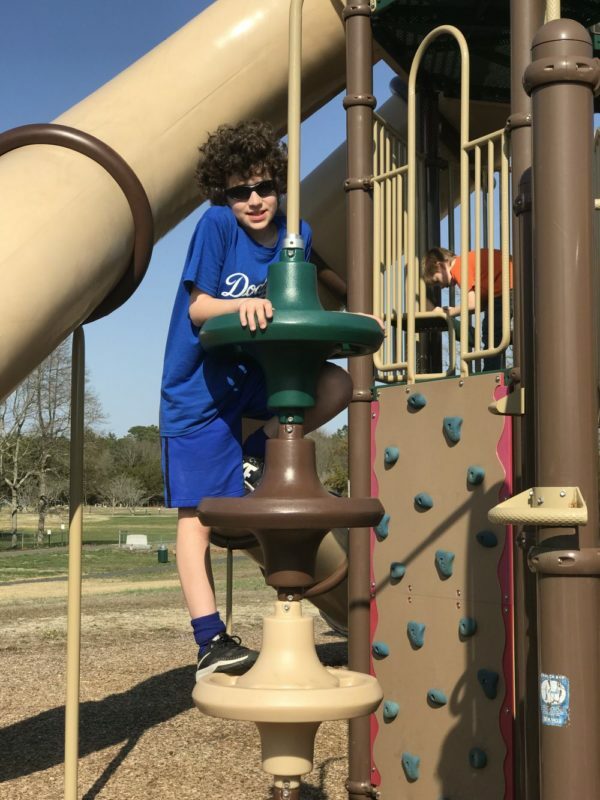 My boys spun on the spinning feature, swinged in the swings, explored the playgrounds, met some new friends and played a pick up game of basketball with them. After a day of Tuckerton Seaport fun, stretch out your day with more fun in Bass River Township. The Bass River Township Park is located just off Maple Avenue, near Route 9 in Bass River Township in New Gretna. Parking for the park is available in a small parking lot as well as in a side lot and on the street. Parking was available for free. 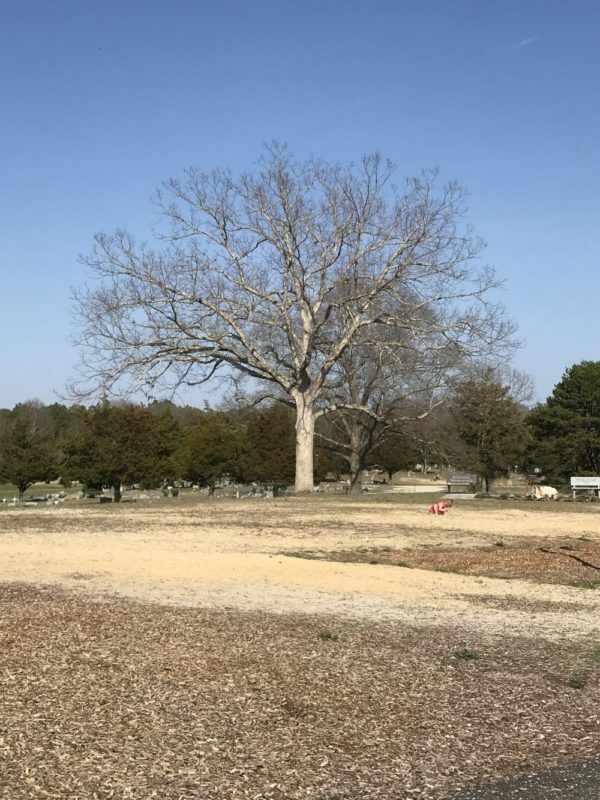 Get to know Bass River Township Park through our details and pictures below. 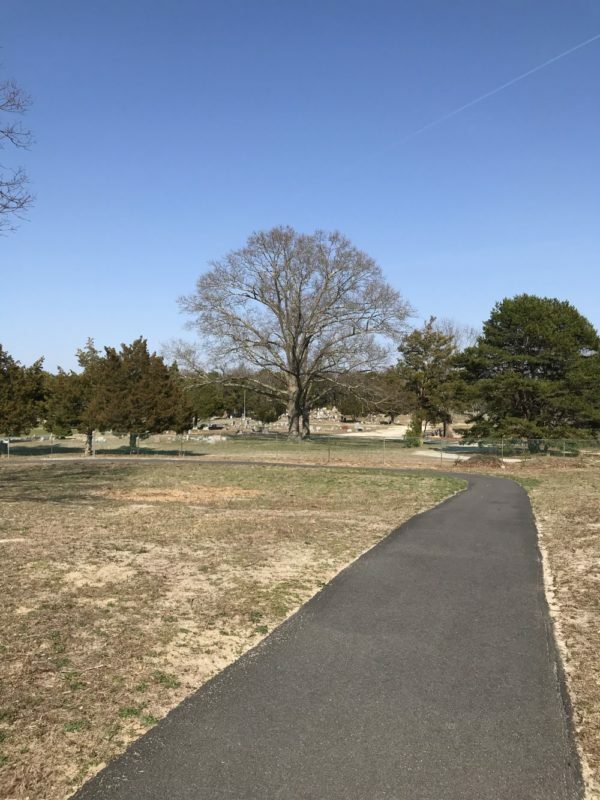 We only know of this park by the name of Bass River Township Park. We did not see any stated hours for the Bass River park in Bass River Township. We believe like most parks it is open dawn to dusk. The Bass River Township Park has one port-a-potty. There were about 5 park benches near the playground and around a walking trail and a few more around a fountain. There as one pavillion with 3 tables. 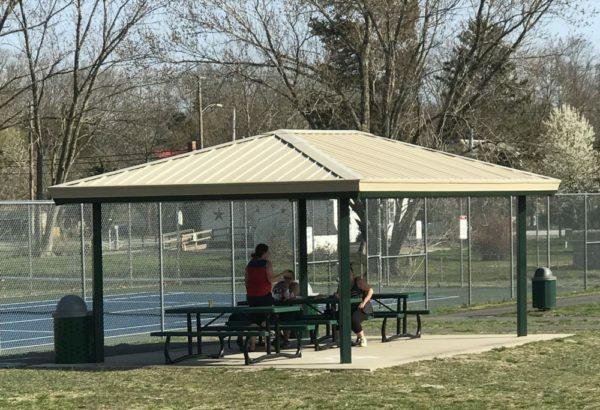 Is shade available at the Bass River Township Park? 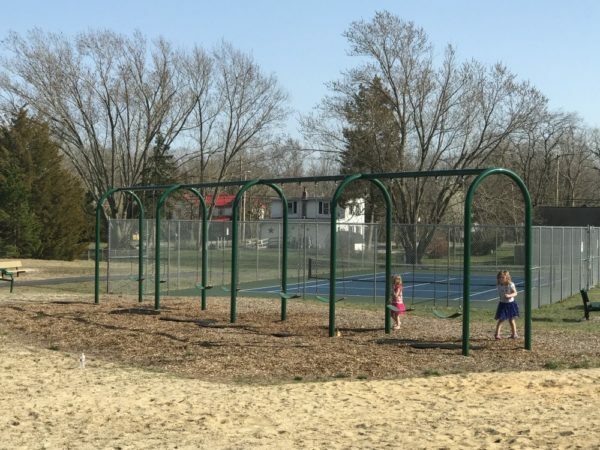 There were no shady areas at the Bass River Park in Bass River Township. 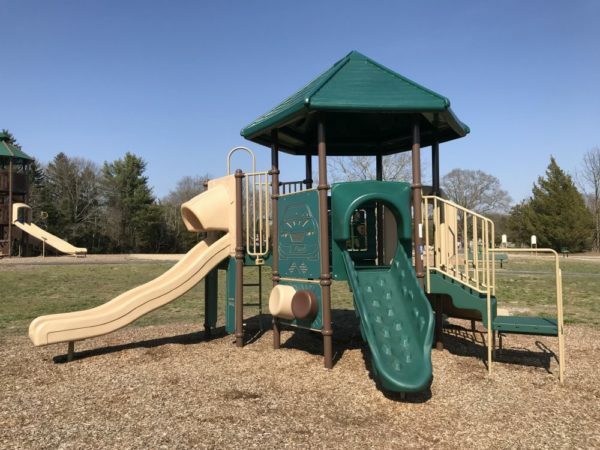 The Bass River Township Park has 1 main playground with 2 play areas. The ground surface is wood mulch. 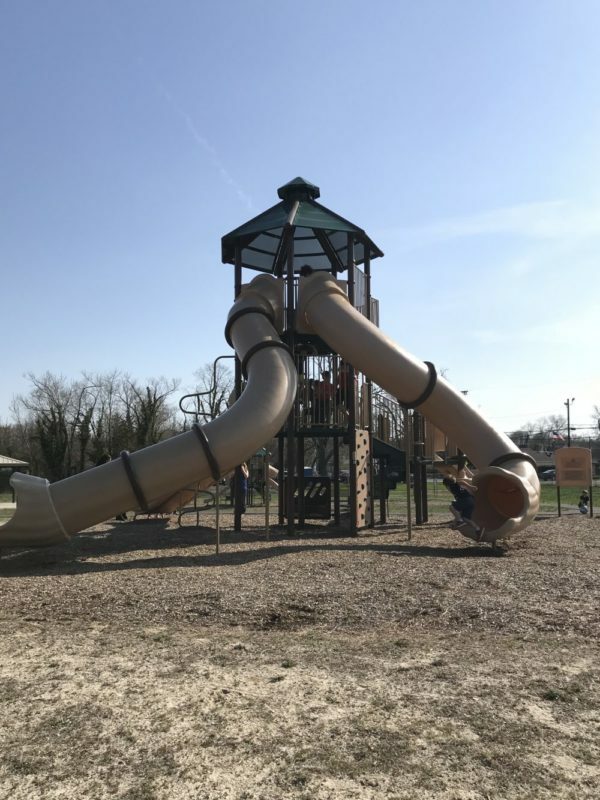 1 Large multi-level climbing playground structure with multiple slides. Another preschool playground structure with an activity wall. Watch our video tour of Bass River Township Park below. 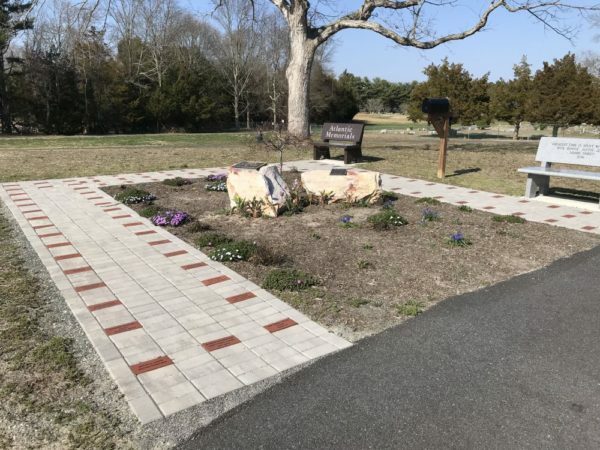 Bass River Park in Bass River Township has one paved walking trail. It can also be referred to as a fitness trail as there are fitness stations. We found it to be stroller friendly and wheelchair accessible. There is also a memorial garden we believe has been dedicated to those who have battled Cancer. There is a Survivor Bell for Cancer survivors to ring to symbolize the end of chemo and the start of a new healthy life. There are no traditional fields at the Sand Castle Park, but there is a large area of grass. Bring a soccer ball, kick ball, or other beachy sports equipment and have a pick up game. 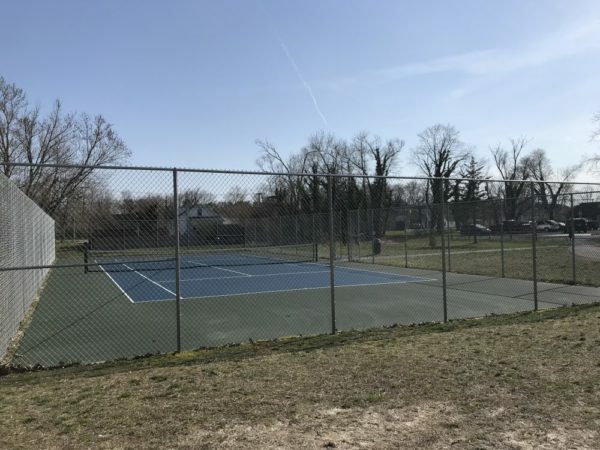 This Bass River park also has a basketball court and tennis courts. 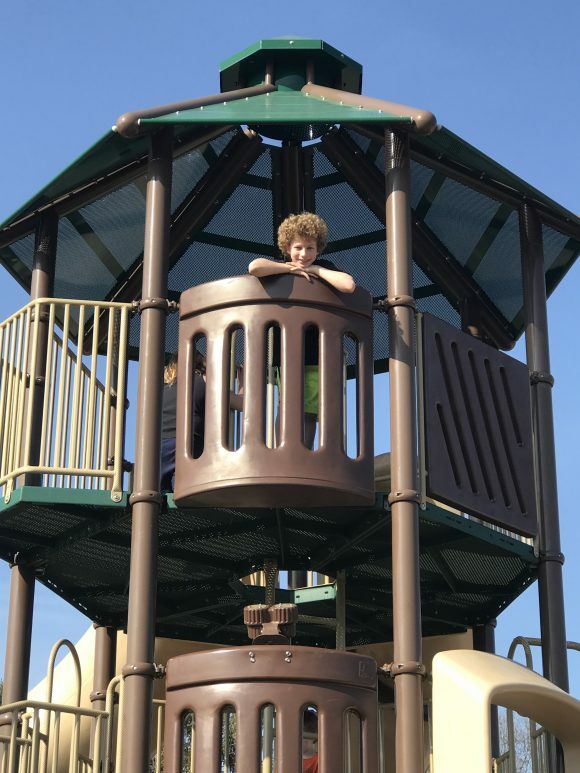 One of the things parents and kids will enjoy most about the Bass River Township Park Park is the tall unique climbing structure. With the multiple platforms, kids can get a view of the entire park from different viewpoints. With slides at every level, even the littlest of kids should be able to enjoy a fun slide down. To see more pictures of Bass River Township Park visit this photo album on Facebook in our South Jersey community. 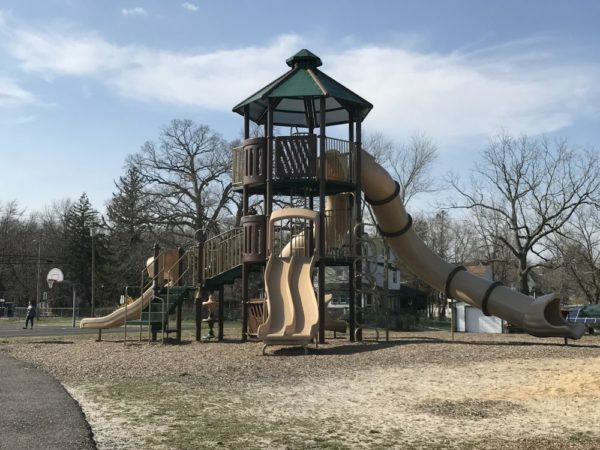 Click over to read more Bass River Township parks (coming soon), Burlington County parks, or New Jersey Parks & Playgrounds. Connect with local families in our South Jersey Families Facebook Community.